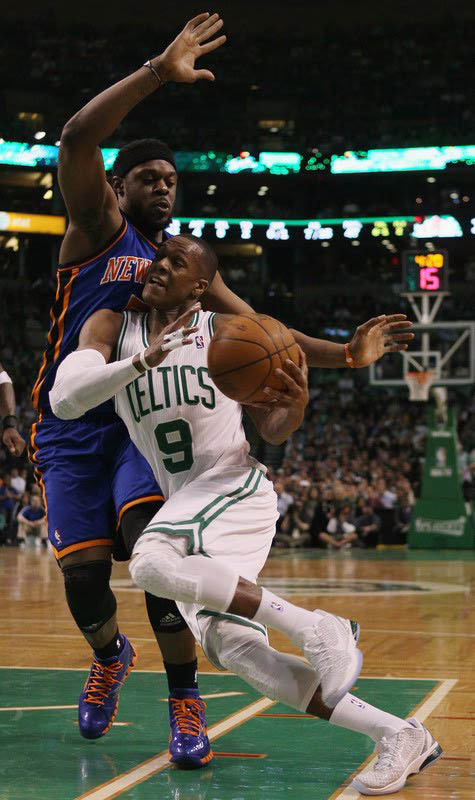 This isn't the first time Rajon Rondo has been caught with the Kobe VI. Though not as storied as it was in the 80s, the Lakers/Celtics rivalry has once again taken the NBA's center stage in recent years. The league's two most storied franchises squared off against one another in the 2008 and 2010 NBA Finals, each bringing home the Larry O'Brien Trophy once in legacy-boosting efforts. A new crop of superstars are poised to phase these proud franchises out of contention, but it's a little too early to count out Kobe Bryant and Kevin Garnett led teams. 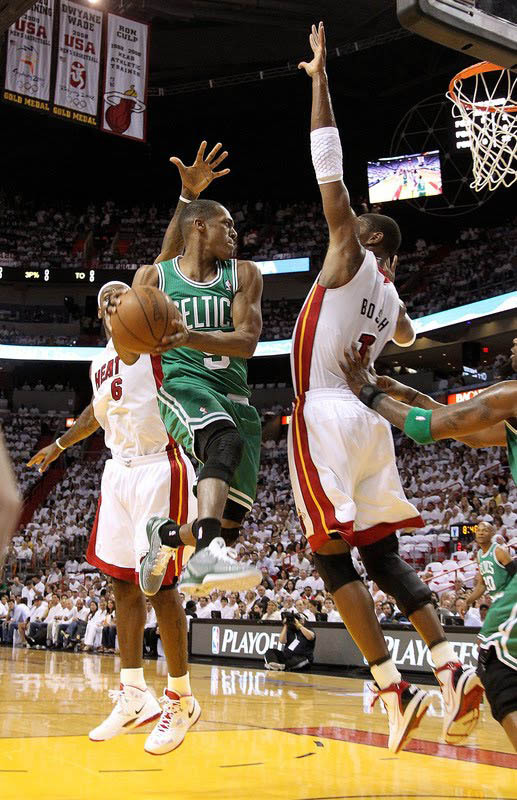 While Celtics players like Garnett and Paul Pierce have embraced the rivalry head on, point guard Rajon Rondo seems a little indifferent towards it - at least in terms of his footwear. 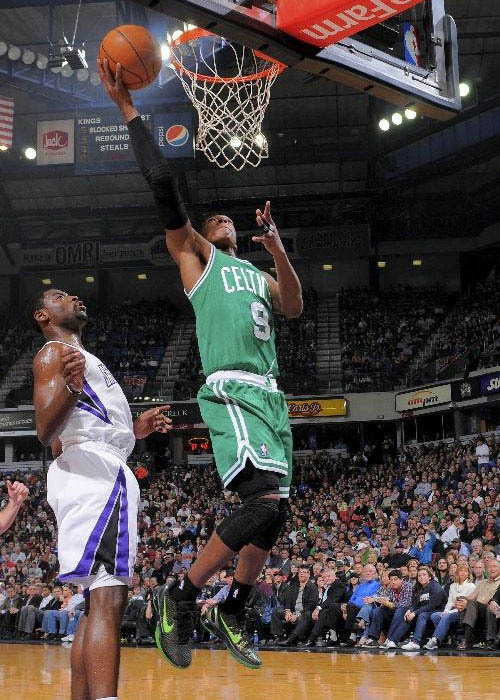 Throughout the 2010-2011 NBA season, Rondo was spotted wearing various colorways of the Nike Zoom Kobe VI, surprising Celtics fans and sneaker enthusiasts everywhere. Does wearing Kobe's sigs mean Rondo doesn't understand the magnitude of the rivalry? No - but it is a sign of how much the culture of the league has changed in the last 30 years. 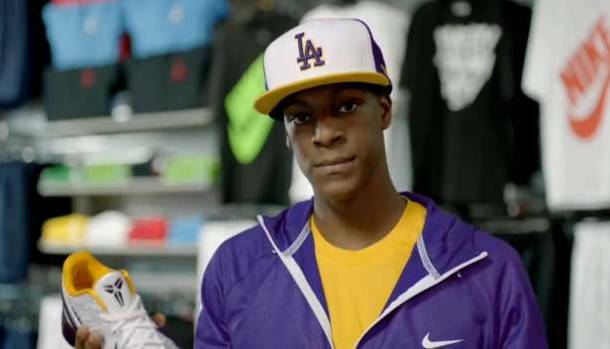 In a new television spot released by Champs Sports, Rondo gets hooked up with some Nike gear at the retail store. Much to his chagrin, his Celtics-themed casual gear is replaced with sporty purple and gold apparel. He can toss that Kobe VI to the side all he wants, but we know better. Check out the new Champs' "We've Got The Hook-Up" spot below.